Spring bulbs are an easy way of creating a beautiful show of blooms, before most perennials and annuals are in flower. 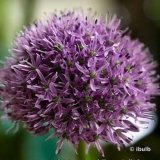 We have a dizzying selection of bulbs to suits all sorts of places and tastes. From classic red Tulips and sunny Daffs to delicate Erythroniums and majestic Camassias. Click on the categories below to start browsing. The prices here take into account picking and packing costs - if you would like to collect from the nursery we may be able to offer a collection discount - please contact us to more info.